‘Fair Verona’ lies 70 miles west of Venice and around 100 miles east of Milan. Once an ancient trade centre and a flourishing medieval hub for arts, today, however, it is a cosmopolitan city as well as a UNESCO World Heritage site. It is perhaps most famous for being the backdrop to Shakespeare’s story of the ill-fated lovers Romeo and Juliet, and the feud between the Montagues and the Capulets. 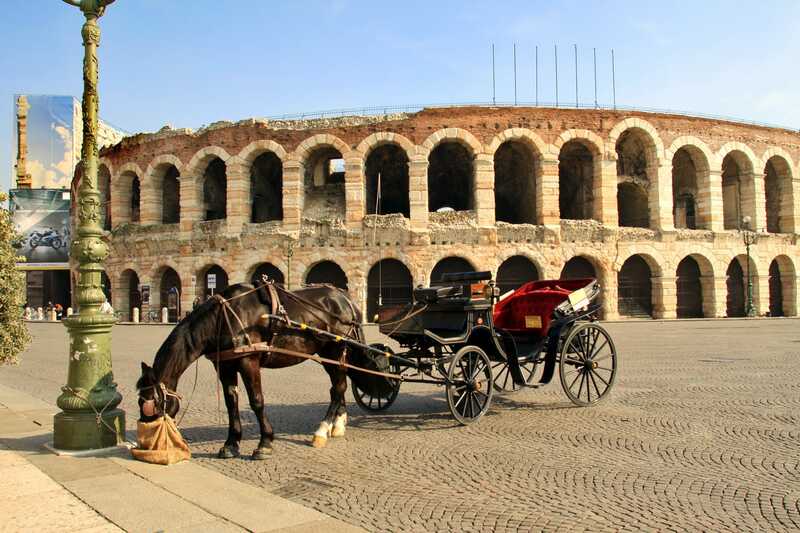 A story so famous that you can still follow its imprint in Verona today and Avventure Bellissime – the Italian tours and Italian holiday expert – will help you do that. Casa di Giulietta is at the centre of the Romeo and Juliet story. 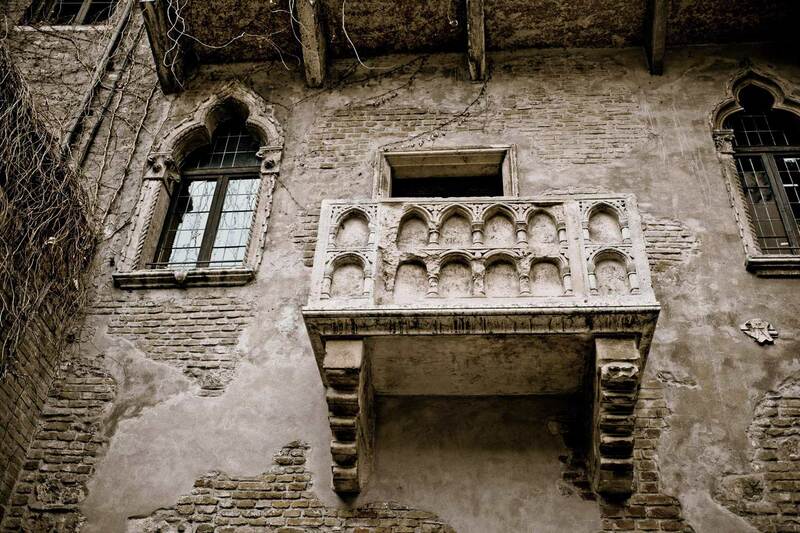 The Capulet emblem is still visible on the wall of this 13th Century building that is presented as Juliet’s home. It’s here where couples from around the world leave their messages of love. The courtyard and infamous balcony attracts in the region of half a million visitors per year and it is here where you’ll also find a bronze statue of Juliet – where visitors can place their hand on her left breast for luck - which is ironic because as a romantic heroine she didn’t seem to have much luck. Although the balcony isn’t an original part of the building, it still commands a very romantic atmosphere. Juliet’s tomb was traditionally thought to be in the garden of the Convent of San Francesco al Corso. It fell into a sad state of disrepair – and visitors regularly removing small pieces of stone as ‘souvenirs’ compounded the issue. In the 1930’s the tomb was moved to a resting place under the cloister and you can visit today as part of the Museum of the Frescos of Giovanni Battista Cavalcaselle. Casa di Romeo is a privately owned property that dates from the 14th Century and once belonged to the family of the Count of Nogarola. Being privately owned, it is not open to the public but there is a plaque outside on the wall that displays verses of the play. As you can imagine it is a popular photo opportunity for those touring Verona, the home of Romeo and Juliet. There are a number of scenes from the play that are marked throughout the city. There’s Volto Barbaro – a dark vault linking two squares in Verona - where the duel between Tybalt and Mercurtio took place. Then there’s the Palazzo Carlotti where Romeo’s revenge of Mercutio’s death occurred. Finally, the Portoni della Bra – a gateway where Romeo fled the city. Also, if you are looking for some travel inspiration in addition to finding out about visiting the home of Romeo and Juliet, be sure to check out our other blog posts at tours-italy.com/blog/ It’s a great read about all things to do with Italian holidays– like insights into Rome’s Colosseum and the Spanish Steps, how to save money when visiting Italy, the must see sights in Venice as well as why you should consider visiting lesser well known cities like Bologna. It’s a great read about all things Italian and Italian holidays!